An Android application that as of now only comes pre-installed on the Google HTC Nexus One, is the 3D Gallery that’s developed by Cooliris. Forbes said it’s “as dazzling as it gets on a mobile screen”, and I’ve always thought the Cooliris app looked quite, well… cool. That’s why I was glad to find out that the Nexus One’s 3D Gallery can be installed on other Android 2.1 devices, like my HTC Desire, courtesy of the xda-developers. Here’s how you install it on your phone. Download the 3D Gallery app and extract the compressed archive on your computer. This will result in Gallery3D.apk. Connect your device to your computer using the USB-cable. Slide down the notification bar (window shade) on your phone, and select the disk drive connection type. This will allow you to access the memory card via your computer’s file manager. 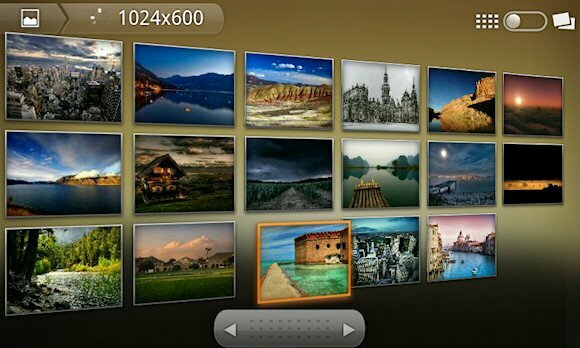 Copy the file Gallery3D.apk to your phone’s memory card. On your phone, locate the .apk-file with a file manager like Linda or Astro, launch it and choose to install the application. That’s it, you’ll now have an app called Gallery in All programs – press the icon to start the 3D Gallery. Check out the video below to see what the app looks like. I have a Droid X and the stock app Verizon / moto put on there is pretty lacking. This is a bit better (mainly faster) but the interface kind of wastes screen space and there’s NO SETTINGS! Just kinda surprised there aren’t more gallery alternatives out there. QR codes appearing partially under videos causing them not to work (Latest Chrome). Open in new tab gets around this. You’re welcome. WinZip is another popular application for handling compressed files. Regarding the GPS issue, are you sure it’s activated in the settings? You can see if it is from here: Menu > Settings > Location > Use GPS satellites. Good luck! Thanks a lot. After using Win RAR & extracting, the file is saved as Gallery3D.apk. Are there any applications which can directly open rar, zip files. One more query if you can help… my GPS applications are not working after I upgraded from android 1.5 to 2.1. Earlier all gps applications were working smoothly. Any solution… Thanks in advance. What do you mean by extract the archive on your computer. This will result in Gallery3D.apk. It is saved with .rar extension on the computer?